21 Lessons for the 21st Century is a probing and visionary investigation into today's most urgent issues as we move into the unchartered territory of the future. As technology advances faster than our understanding of it, as hacking becomes a tactic of war, terrorism and fundamentalism rise, and the world feels more polarized than ever, Yuval Noah Harari addresses the challenge of navigating life in the face of constant and disorienting change and raises the important questions we need to ask ourselves in order--literally--to survive. In twenty-one accessible chapters that are both provocative and profound, Harari builds on the ideas explored in his previous books, untangling political, technological, social, and existential issues and offering advice on how to prepare for a very different future from the world we live in. Harari's unique ability to make sense of where we have come from and where we are going has captured the imaginations of millions of readers around the world. 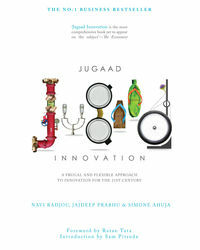 Here he invites readers to consider values, meaning, and personal engagement in a world full of noise and uncertainty. In such a world deluged with irrelevant information, clarity is power. The ability of 21 Lessons for the 21st Century to present complex contemporary challenges clearly and accessibly makes it essential reading. 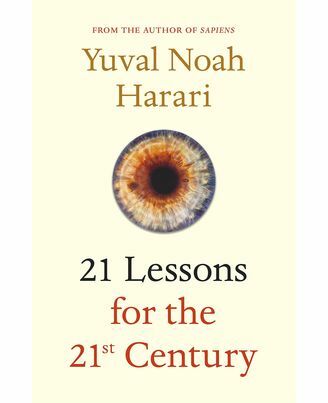 About the Book : 21 Lessons for the 21st Century is a probing and visionary investigation into today's most urgent issues as we move into the unchartered territory of the future. As technology advances faster than our understanding of it, as hacking becomes a tactic of war, terrorism and fundamentalism rise, and the world feels more polarized than ever, Yuval Noah Harari addresses the challenge of navigating life in the face of constant and disorienting change and raises the important questions we need to ask ourselves in order--literally--to survive. In twenty-one accessible chapters that are both provocative and profound, Harari builds on the ideas explored in his previous books, untangling political, technological, social, and existential issues and offering advice on how to prepare for a very different future from the world we live in. 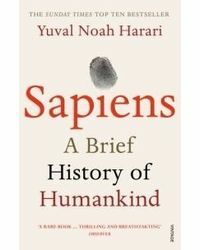 Harari's unique ability to make sense of where we have come from and where we are going has captured the imaginations of millions of readers around the world. Here he invites readers to consider values, meaning, and personal engagement in a world full of noise and uncertainty. In such a world deluged with irrelevant information, clarity is power. The ability of 21 Lessons for the 21st Century to present complex contemporary challenges clearly and accessibly makes it essential reading. About the Author : Yuval Noah Harari has a PhD in History from the University of Oxford and now lectures at the Hebrew University of Jerusalem, specialising in world history. 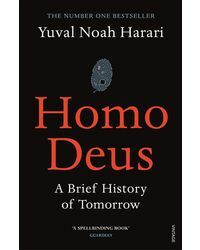 His two books, Sapiens: A Brief History of Humankind and Homo Deus: A Brief History of Tomorrow, have become global bestsellers, with more than 12 million copies sold, and translations in more than forty-five languages.